The visitors from Arellano University and the WWRDEC staff during their visit to the Bambusetum. The directors and program coordinators of the Office for Community Development of Arellano University (OCD- AU) visited the Philippine Bambusetum on January 07, 2019. 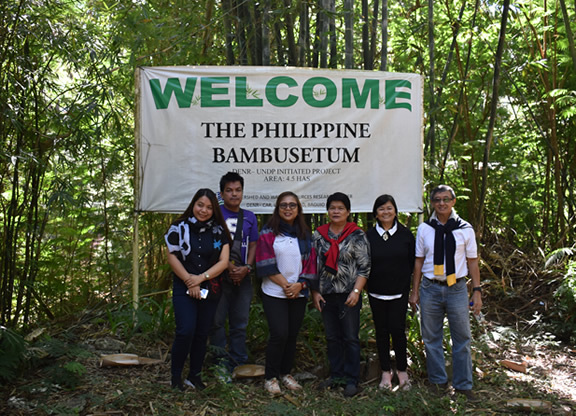 Director Andreline Ansula wanted to expand the bambusetum they established in Panguil River Eco-Park, Pangil, Laguna and wanted to tie up these activities with the Philippine Bambusetum which is one of the bambuseta in the Philippines with the highest number of species. 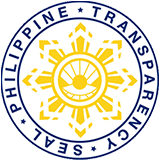 The Ecosystems Research and Development Bureau (ERDB), the Arellano Univesity and the Municipal Local Government Unit (MLGU) of Pangil, Laguna signed a Memorandum of Agreement (MOA) in 2011 and established bambusetum with the intent to protect and conserve environment and natural resources. To date, the joint undertaking resulted to a plantation, which covers 1.25 hectares of land in Panguil River Eco- Park, and showcases 24 robust bamboo species. Under this, volunteer students and faculty members help in the propagation of bamboo seedlings to support the community and the environment. The goal for said bambusetum is for it to become a source of bamboo seedling production towards watershed reforestation and rehabilitation and to strengthen the local commercial bamboo industry. The visit to Watershed and Water Resources Research, Development and Extension Center (WWRRDEC) in Baguio City enabled the visitors to gain more knowledge and insights on more bamboo species. Ms. Helen A. Maddumba, Center Head of WWRRDEC which manages the Philippine Bambusetum, also gifted Arellano University with two (2) species to be added to the 24 species they already have in their bambusetum. 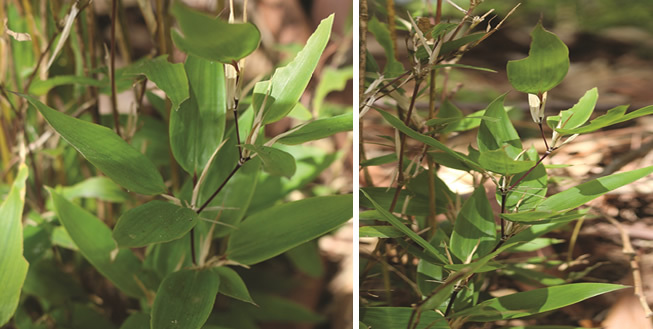 These two species are the Marbled Variegated Bamboo and Ruscus Leaf Bamboo. The Arundinaria marmorea variegata or Marbled Variegated Bamboo is a monpodial, running bamboo with creamy, light- green culms that turns reddish- brown as they age. It grows to a height of 1.2 m in the Philippine Bambusetum and is propagated through offsets. This bamboo is used as hedge and ground cover. 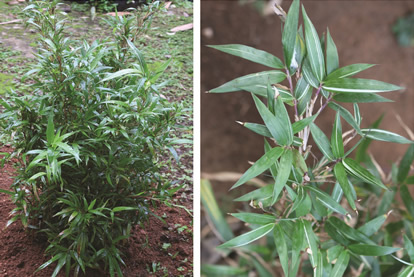 The Shibatea kumasaka or Ruscus Leaf Bamboo is a clump- forming ornamental bamboo with short- jointed, greenish- brown culms that has reached a height of 2.5 m in the Philippine Bambusetum. It has tiny, wide dark, green leaves, which turn yellowish green when exposed to full sunlight. This bamboo is used for hedges and for ground cover.